Designed to the highest specifications, our tilt and turn windows are exceptionally beautiful. They offer a superb performance for your Fleet and Hampshire home, and they provide a highly practical double glazing solution. Visit our online quote calculator for a free quote. When you are looking for a truly versatile window that does not skimp on style, then our uPVC tilt and turn windows available in Fleet, Hampshire, Farnham, Surrey, parts of Berkshire, Camberley, Aldershot, Basingstoke, Hook, Farnborough, Bagshot, Lightwater, Cove, Frimley, Yateley and surrounding areas are the ideal solution. They couple outstanding REHAU quality and design with the very best materials and construction techniques. You can count on your new uPVC tilt and turn windows to provide you with many years of excellent service. One of the many benefits of the double glazed tilt and turn function is the simplicity and safety it offers. You can easily access the outside glass pane for cleaning, meaning your windows will always look pristine. Added to this, the window can be locked into place providing a secure source of ventilation for your home. These features make our uPVC tilt and turn windows the perfect choice for upper floors and high rise buildings, although their intrinsic beauty means that they can be installed anywhere. The Rehau design is known for its impressive energy efficiency, and this is no different when it comes to our uPVC tilt and turn windows. 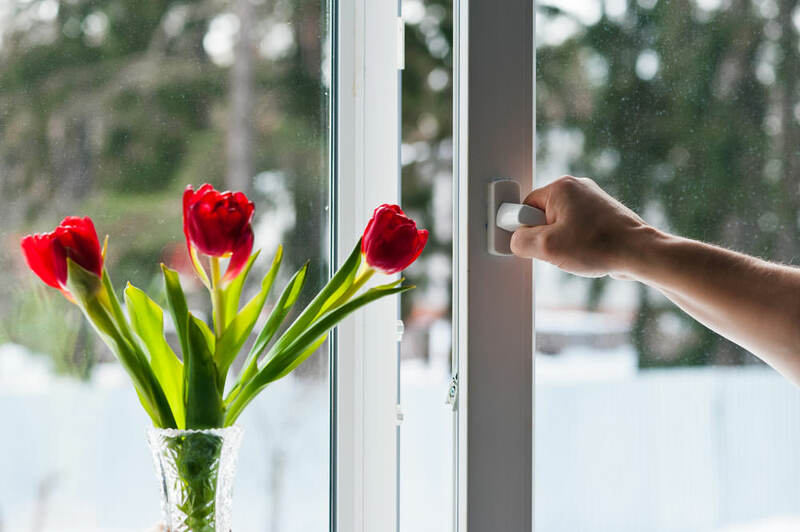 You will find that your heating bills are lowered, as in using a combination of high quality double glazing and a cleverly designed profile, heat loss is minimised and an Windows Energy Rating of A is achieved. There are so many benefits to choosing a uPVC tilt and turn window, but one of the greatest is its exceptional safety features. Not only can the window be locked into place, so that you can achieve ventilation while keeping your family safe, but also, the intelligent design means that these windows can operate as an emergency exit, giving you a clear escape route should the need arise. With our Rehau uPVC tilt and turn windows, you can tailor the style to suit your property and your tastes. They come in a wide range of unique colours, enabling you to personalise your uPVC windows. Whether you like bold, statement colours, or more muted colours to blend in with your home and surroundings, we are sure to be able to provide the right colour for you. Our range of uPVC tilt and turn windows in Fleet and Hampshire come with an impressive 10 year insured guarantee. You can have complete confidence in the quality and performance of your new double glazed windows, and be sure that they will last for many years to come, making them incredibly cost effective. We offer incredibly competitive prices on our uPVC tilt and turn windows in Fleet, Hampshire, Farnham, Camberley, Aldershot, Basingstoke, Hook, Farnborough, Bagshot, Lightwater, Cove, Frimley and Yateley. You can be sure that you are getting a cost effective double glazing solution that never lets you down when it comes to performance. To see just how great the prices we offer are, visit our online quote calculator. It is free to use, and it will provide a quote in just a few moments that is unique to your specifications.